Unbalanced and prejudicial reporting of mental health issues creates a climate of stigma and discrimination against people who experience mental health problems. This is a major barrier in terms of their everyday lives and can significantly hamper their recovery. There is a gap in terms of a web-based project that allows people to praise and criticise media reporting of mental health issues in a structured way. WordsMatter will fill that gap. The purpose of WordsMatter is to promote fair mental health reporting. We want to improve the reporting of mental health issues in the media, and journalists’ understanding of mental health issues. Words do matter. 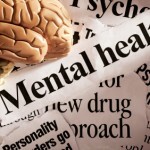 The use of inappropriate and stigmatising language, such as ‘schizo’ or ‘nutter’, is damaging and harmful to the hundreds of thousands of people who experience mental distress (600,000 people are in contact with specialist mental health services every day). But it’s not just about individual words. It’s about fair reporting that is accurate and balanced, and puts stories in context. WordsMatter aims to establish a systematic process for encouraging people to praise good, and challenge poor, reporting on mental health issues. It comprises a web-based service which alerts subscribers to selected items, allowing them the opportunity to contact the media concerned through the website. The overall intention is to encourage the media to be more sensitive and informed in their use of language in reporting on mental health issues, and to provide balance and context in their coverage. Initially, the project has been funded to cover national and key regional press cuttings only, but the vision is to expand this in due course to cover discrimination more widely in the media and public life, subject of course to securing additional funding. OK ! Magazine has, in it’s December Issue reported on Adam Ant’s experiences in the mental health system. The impression is that seven years on anti-depressants just wasted time. Communication not medication is required. It is great to see honest feedback from a real patient, albeit a famous one. Gail Porter’s coverage made this same point. Does anyone care about how “patients” are forced to take drugs when they need professional counselling ?